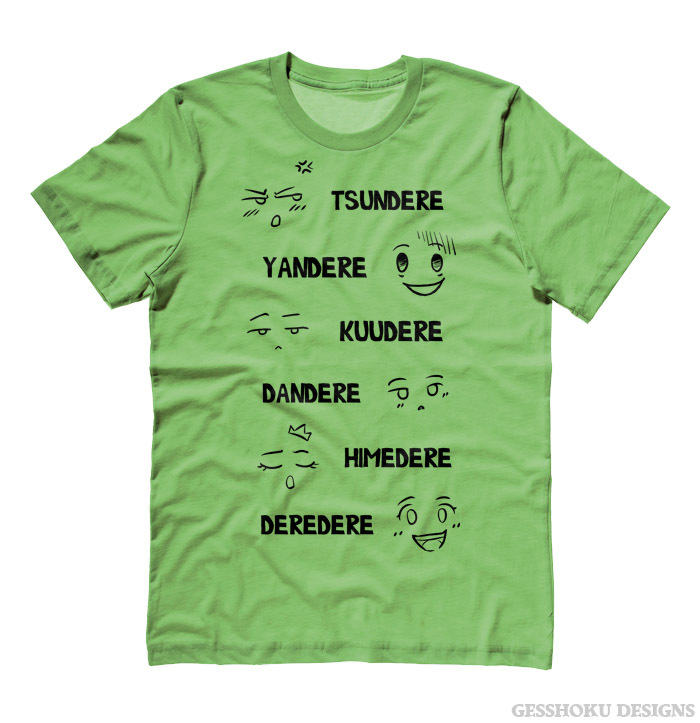 Can you identify the shy and taciturn Dandere from the righteous Himedere? 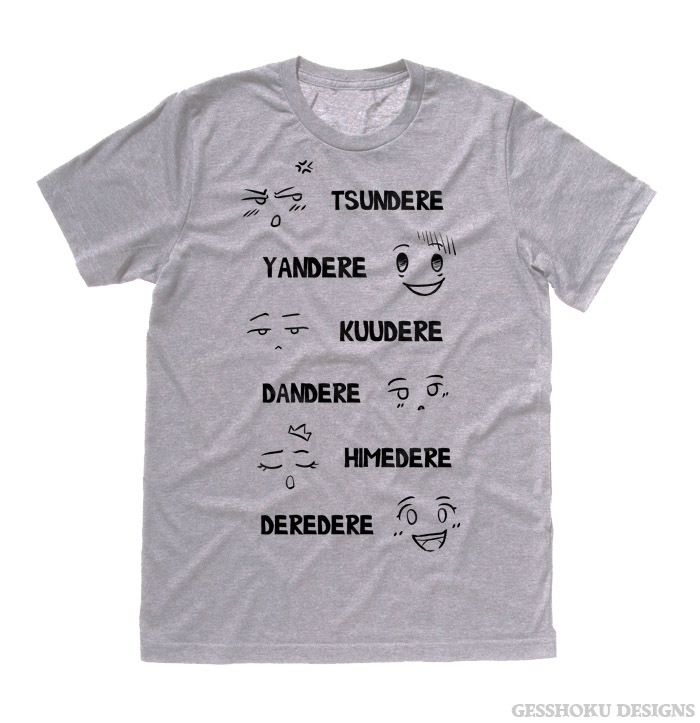 How about the slightly-off Yandere? 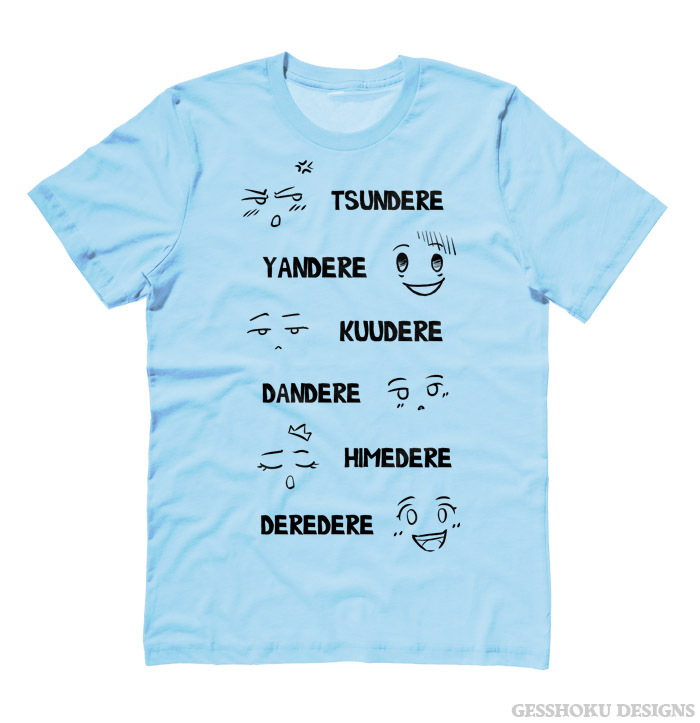 Never be confused with this handy chart at your side! 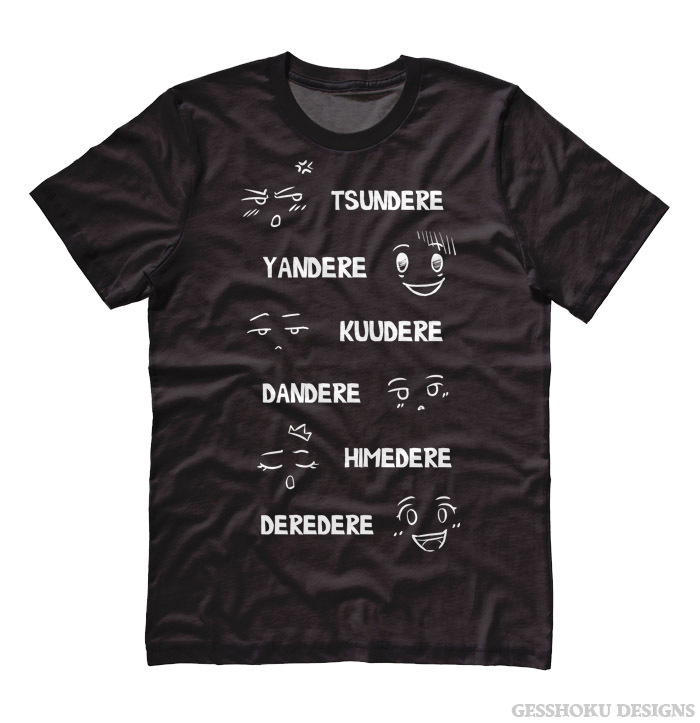 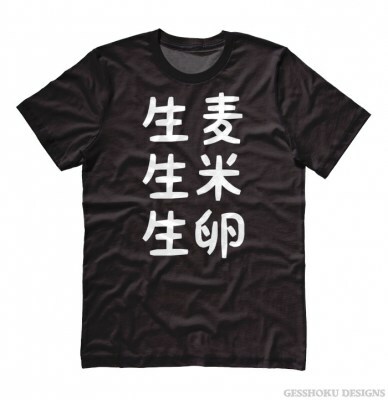 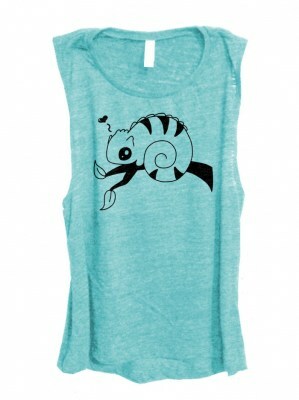 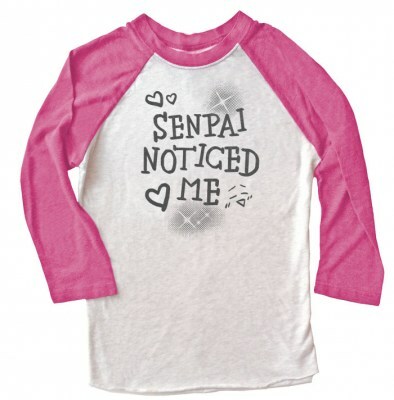 Listing the Tsundere, Yandere, Kuudere, Dandere, Himedere, and Deredere with corresponding emotions, this shirt is a must for all anime fans!